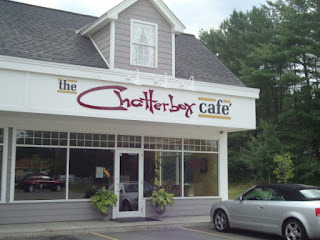 Chef Robert Irvine visits The Chatterbox Windham in Windham, New Hampshire, to help turn around The Chatterbox. The restaurant was bought by Lynn after the death of her husband, she thought the restaurant would bring a reliable source of income for her family and give her sons a place of employment. For a pleasant change, the decor wasn't terrible, just a tad boring. The biggest problem, however, was the food, nothing was seasoned and the staff, simply didn't respect Lynn and walked all over her. Robert made big changes to both the menu and worked with Lynn on her management skills. After Robert's visit, reviews on Yelp were mixed. Lynn has said that the makeover was mostly cosmetic and didn't focus on managerial skills to help her continue, which she is learning on her own. It appears that a truck drove into the restaurant in January 2013 and they decided not to reopen. This episode was episode 2 of season 3 and was aired on February 15 2012, there were 13 episodes in the season, airing between February to June 2012 and the season 3 closure rate currently stands at 62%.